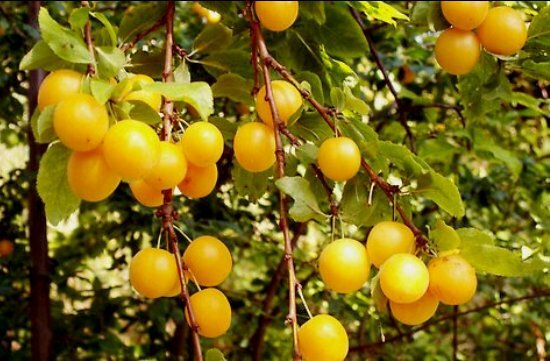 Mirabelle plum seems to have originated in the Asia Minor, i.e. the region lying between east of Bosporus between the Black Sea and the Mediterranean. With time it reached Europe and at present it is a specialty of the Lorraine region of France. This region produces 15,000 tons of Mirabelle plums annually which account for 70% of the world production. 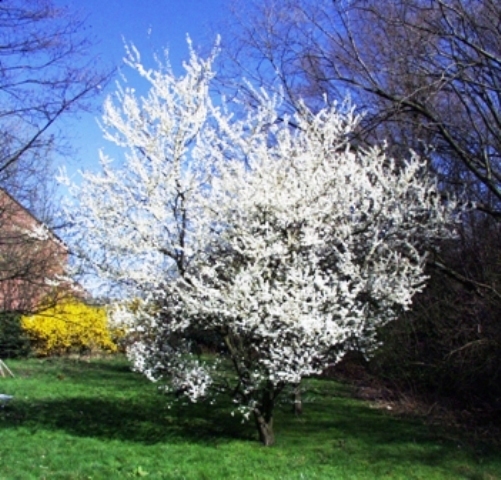 The variety known as Mirabelle de Nancy is believed to have come to France in the 15th century from the East in the 15th century. The second most popular variety Mirabelle de Metz was first recorded in 1675. 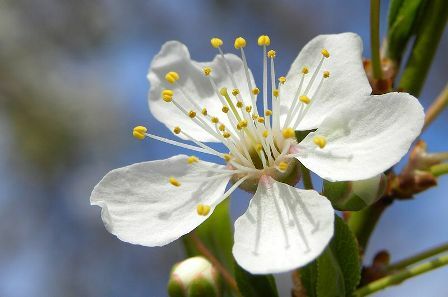 Mirabelle plum is closely allied to the damson and bullace. The fruits are small, oval shaped, with a smooth-textured flesh, and especially by its dark yellow colour which becomes flecked in appearance. They are sweet and full of flavour and are therefore very much liked for these characteristics. There are two main kinds of Mirabelle Prunes; the Nancy Mirabelle Prune and the Metzian Mirabelle Prune. Fruits of Metzian are smaller, less firm, sweeter and has little red spots on its skin. It makes great jellies, while the variety from Nancy is generally considered superior for eating fresh. Though these plums very good for eating fresh but still these are used processing industry for making jams and pies. The juice is commonly fermented for wine or distilled into plum brandy. Ninety percent of mirabelle plums grown commercially in France are either made into jam (70%) or eau-de-vie (20%). The plums are also excellent when eaten fresh. 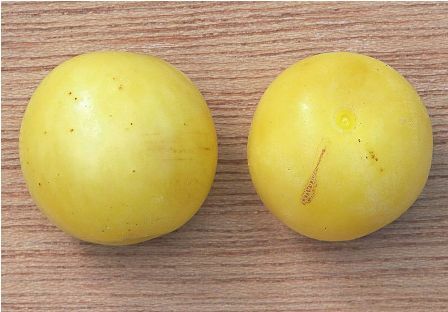 The mirabelle plum is like other plums and is cultivated the same way. The mirabelle reaches maturity and is harvested from July to mid-September. Earlier the fruits used to be harvested by shaking the trees. The saame technique is followed even today, however, the shaking is done now mechanically. The ripe fruits are shaken loose and collected in a net under the tree.